Last week the Make-A-Wish Foundation blessed Brynna with a special gift. This past Sunday we had the reveal party. The gift they gave her was a cute little schoolhouse all her own! One of the difficult things with kids like Brynna is separating work space and leisure space when it’s time to do therapy, Life Skills, or any sort of work for that matter. 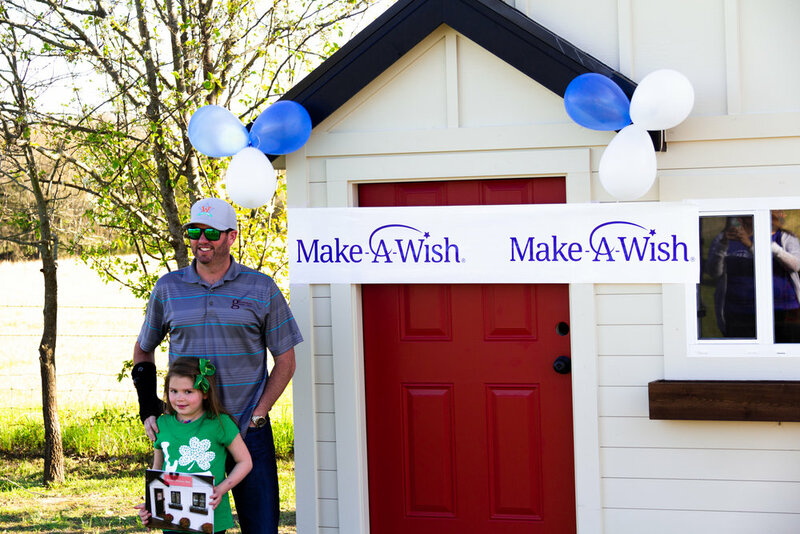 Thanks to Make-A-Wish, Brynna now has a place to do all her work and leave the relaxation space to the house! It was so great to have all our family on hand for the celebration. If you never been around MAW folks, you’ve definitely missed out. These guys were the best … and the party isn’t over, next week they are sending us to the Aquarium in Dallas as a family, a trip we’ve yet to take. I’d also like to thank Brian Grossman and family of Grossman Design Build. He was the contractor who donated the labor and materials for the playhouse. I will be honest, with its size, I expected it to be a very short build, but it took the better part of a week for completion. The reason: attention to detail. These guys did a superb job!! I was really impressed with the care they took to provide her a spectacular build. Not to mention they routinely donate to MAW build projects. But this wasn’t the best part. The best surprise came from Mr. Grossman’s daughter. 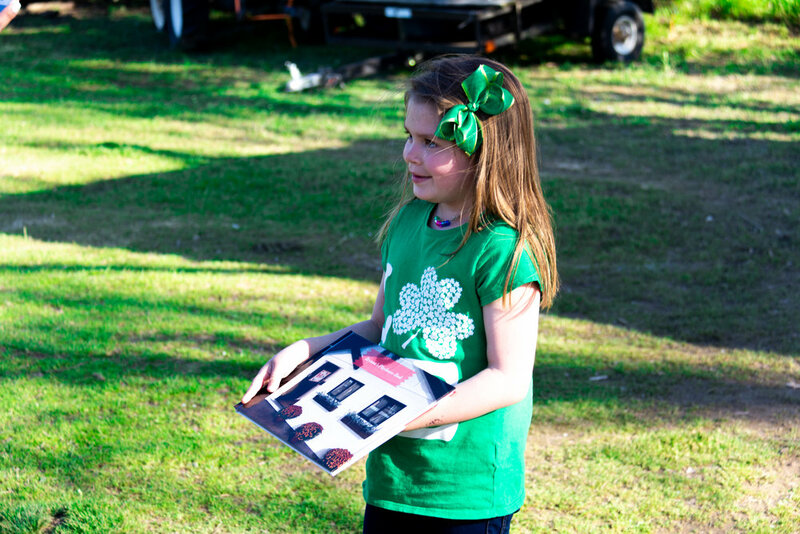 At a very mature five years old, she gave us the sweetest gift of all; a book she had authored and illustrated. Brian told me as they were reading one night, they all thought they could write better stories, so they began to pen children’s books. But this one was different. This one was designed especially for Brynna. The verse and the pictures were all written especially for her. What a great keepsake! This is a wonderful addition to this incredible blessing. I’d also like to thank Austin for the pics and Shaun for the great video. We seriously couldn’t be more happy with Brynna’s new space. Thanks Make-A-Wish! !